“I own a private physiotherapy practice. There may be occasions when we have a patient waiting or our receptionist may be in the office and our patients require privacy and confidentiality for medicolegal and ethical purposes. Our room is completely open other than the partitioned treatment section so I wanted the acoustic pod to help with sound dampening. Kimberley was very helpful and the order process was very easy. I did get a bit of a shock when I realised that these partitions are not, in fact, free-standing, but require a baton holding them to the wall. That was relatively easily overcome, though, and Kimberley was very efficient in getting information to me as to what was required. I liked the design online, I liked the features - it is personalised with my logo on the door which is lockable and it has the acoustic properties we were looking for. I was very glad that I had hired two handymen to help me install it. It is bigger and heavier than I was anticipating, although this is a positive as it is very sturdy. Patients and visitors have been very complimentary about our partitions. They do look very professional. Once the acoustic pod arrived, it has been a perfect fit. We use a white noise machine in the rest of the practice to drown out voices and the partitions of the pod provide good privacy and a sense of security. Regarding the design of the office pod. it looks professional and I like that our logo is printed in the door. We’re also pleased with the fact that it is very solid and sturdy. I would absolutely recommend this to others. It's a good solid, strong product, good value for money and the representatives of Go Displays were all extremely efficient and helpful. Tracy Corbett is the director of Fleet Physiotherapy. They are an experienced team of physiotherapists who specialise in helping their clients get back to full fitness using appropriate manual therapy and rehabilitative skills. "We were due to exhibit at a conference where there would be a lot of potential clients. It was important that our space grabbed attention and illustrated who we are and what we do, which is when we first got in touch with Go Displays to create a Pop Up Stand. The order process was really easy, and Donna was always quick to reply to any questions I had and guide me through the process. 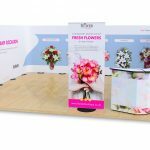 I opted for the Pop Up Stand as I had used them before, and from experience they are easy to set up, easy to transport and are really effective at events. Once it arrived, I was really impressed with how well the stand was packed, the quality of the hardware and the definition and colours of the print. The pop up stand was the perfect backdrop for our event and definitely grabbed the attention of attendees. For a big stand, it was so simple to set up and surprisingly light, too. The wrap and table top for the case were a really nice touch. The lighting which was included with the upgrade kit was a bonus. On its own, the stand looked great, but if we ever need to illuminate it further at a future event, these are a really handy addition. 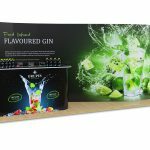 Go Displays offered great value for money without compromising on the quality of the stand. The entire service from initial call to delivery was friendly and professional. Artwork was approved within half an hour of sending this off, and the stand was delivered within a tight turnaround. A big thanks to everyone at Go Displays who helped to make this happen." Will Potter is the marketing manager at Charity Challenge, who organise challenges across the world to support a huge range of charities. From the UK to Burma, the challenges vary from moderate to extreme and provide fundraisers with a unique and fulfilling experience. You can check out their website over at www.charitychallenge.com. "When I got in touch with Go Displays, our museum was looking for affordable, professional quality display panels. It was very important that they were easy for our volunteers and staff to move and adjust. I came across Go Displays while searching online and decided to go with the Mobi Portable Room Dividers. Despite being based in the United States, I thought the order process was wonderful! We were able to determine which product would work best for us by looking at the options on the Go Displays website. When we were ready to order, I spoke with their sales team manager, Gary, who was an absolute delight to work with. Initially, we ordered one set and that was a breeze to do internationally. Ordering our next five was more of a process, but Go Displays had a professional freight forwarder/customer agent reach out to us for some simple paperwork, and she kept us updated on the whereabouts of our shipment. Once they arrived, my first impression is that they looked great, were lightweight and were exactly what we had been hoping to find when we first started looking. There was virtually no setting up involved, which I thought was fantastic! They arrived the day of a board meeting and I was able to remove the shipping packing and instantaneously demonstrate to the board how great they looked and how easily they functioned. After we had set them up in the museum, the Mobi Room Dividers really set the stage for our vignettes and drew attention right where we wanted it to go. Personally, I love that the panels articulate and we don't have to waste time or risk breaking them by accidentally "forcing" them the wrong way. There IS no wrong way, which is great. I also like the Velcro option as we can add our exhibits quickly and easily. I would definitely recommend the Mobi Room Dividers to others looking at them. We love our current Mobi panels and cannot wait to receive the five more we ordered! It will really update the look of our museum. You tend to find that museums have limited storage space for displays, as collection items and artifacts take precedence. 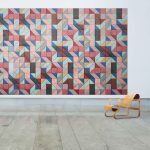 If we change exhibits in the future and only if we need a few of them, I don't have to worry about where to store the extra panels because they are extremely compact and will fit in the tightest of spaces which we have here." Julie Watts is the managing director at the Fife History Museum in Fife, Washington. The museum is located on the previous site of the Dacca Family Farm and it works to preserve the history of Fife and make it accessible for present and future generations. 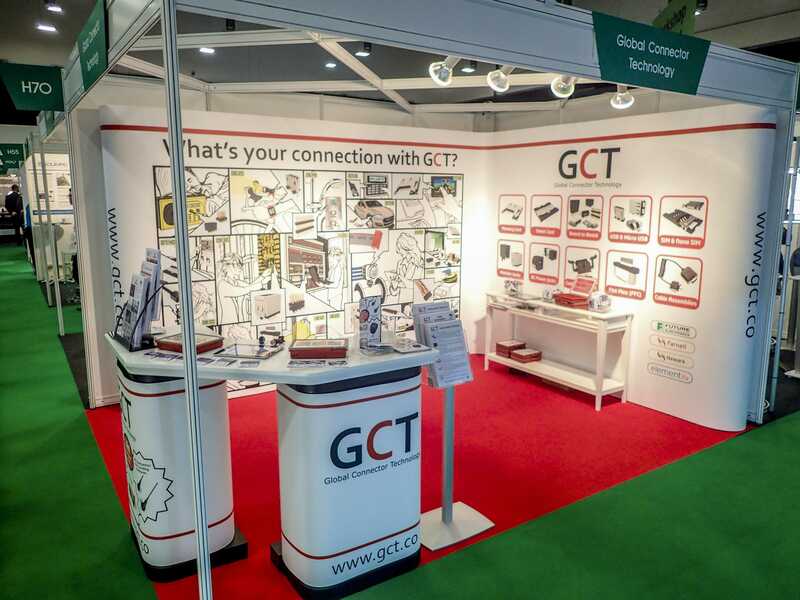 "When I approached Go Displays, we were looking for a display stand for our first exhibition at the Engineering Design Show at the Ricoh Arena. We were quite nervous as we had designed the graphics ourselves so we didn't really know how they would look on the display stand. I decided to go along to the showroom and have a look at what they had to offer. Whilst there I spoke to Gary Long who was incredibly helpful in working out what we needed and what we could do with the space we had available. In the end, we went for a Premier L shaped pop up as it was really economical and attractive for the exhibiting space we had. When we received the pop up we were very pleased with what we got. In particular, my favourite feature was the combination of our artwork with the curved central feature of the pop up which gave it a soft and attractive look. Also, the transportability of it was very attractive to us as we're planning to use it at more exhibitions in the future. Overall, I think with the right design then I would definitely recommend using Go Displays, Gary in particular was very helpful in sorting out exactly the product we wanted and this was a key factor in choosing them." Global Connector Technology (GCT) is a leading supplier of standard and custom interconnect products. 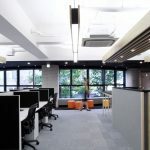 With offices based in the UK, Asia and America, GCT supply connectors in many different sectors including mobile & communications, computer & peripherals and digital entertainment. You can visit their website online at www.gct.co.uk. "We contacted Go Displays as we were looking to utilise our reception space effectively by using screens rather than partition walls. 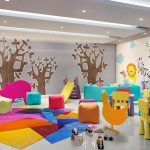 We got in touch with Go Displays via e-mail and then on the phone to discuss what alternatives to partition walls they had. It took a lot of toing and froing to decide what we wanted, but in the end we settled on going for the Morton Acoustic Screens. We decided the Morton screens were the best way forward for what we wanted. Despite it being a little bit out of our price range, the quality of them swayed us that they were worth the investment. I thought our Morton Screens were fantastic when we received them and the colour scheme in particular was a great match for our reception. In particular, the design of the screen has been much neater than we were expecting. When we were setting them up, the Morton screens were really adaptable in the office and they are doing the job perfectly. I like the fact they can attach to the wall which helps to make them sturdy. 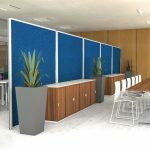 My favourite part of the Morton screens is the iona fabric colour which we picked out as it fits in really well with the colour scheme of the rest of our reception. I was impressed by how steady and sturdy they are and I can clearly see they are built very well. I would definitely recommend them to somebody else as we have found the Morton screens to be very versatile, you can do pretty much whatever you want with them. After we put in the order, our screens were made and dispatched very quickly and the customer service side was very good. We have got good feedback from our clients about them - they seem impressed!" 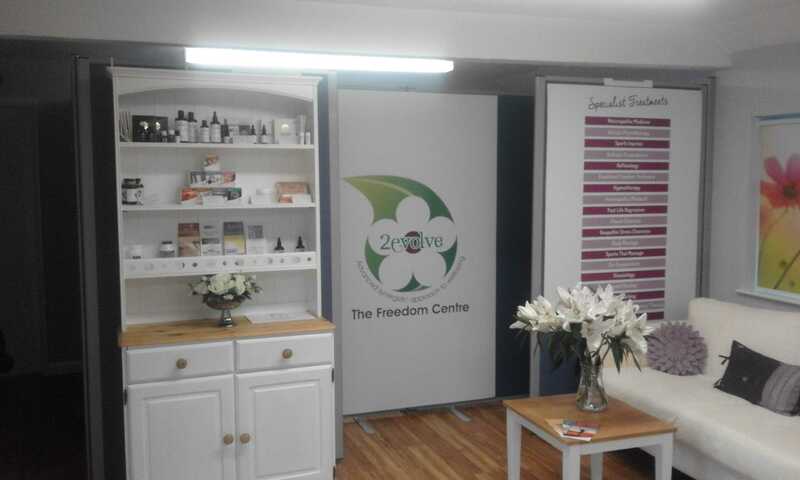 "We first got in touch with Go Displays because, although we had banners showing our individual services we needed a simple exhibition stand that advertised our company as a whole. The order process was very easy, considering that I had never designed something this large before - the website had incredibly useful art work guides, and Gary was very helpful in guiding me through exactly what was needed. 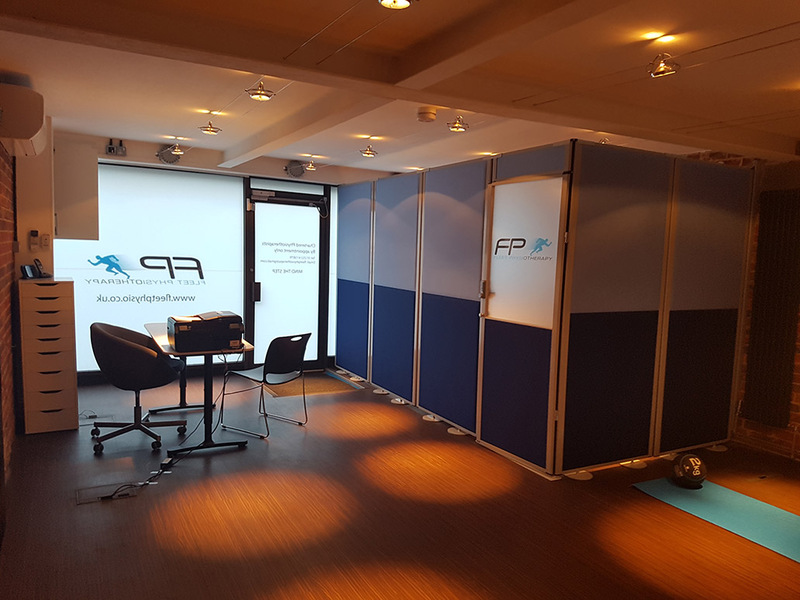 We chose the Premier 3x2m curved pop up kit as we were exhibiting at a conference where we had been given limited space, and this was the largest we could get that would make the most of the space we had, whilst still looking professional. I was very impressed with the stand when it arrived and it was surprisingly easy to put up and take down. In particular, I liked the fact that everything slotted neatly into the handy carrying box, and the fact that it had wheels made it very easy to move around. We have had stands in the past that were pretty difficult to transport, so with the Premier pop up, it was a pleasant surprise. I also liked that the artwork attached via magnets, our previous stand had little clips that could be fiddly when setting up, and the magnets made it much quicker and easier to put together. I would definitely recommend Go Displays to other companies, simply on the basis of the excellent customer service that I received. We were working on incredibly tight deadlines but Gary at Go Displays took the time to check over my artwork, and pointed out an issue that I was able to correct in time - the delivery was prompt, and the quality of the stand was very high." 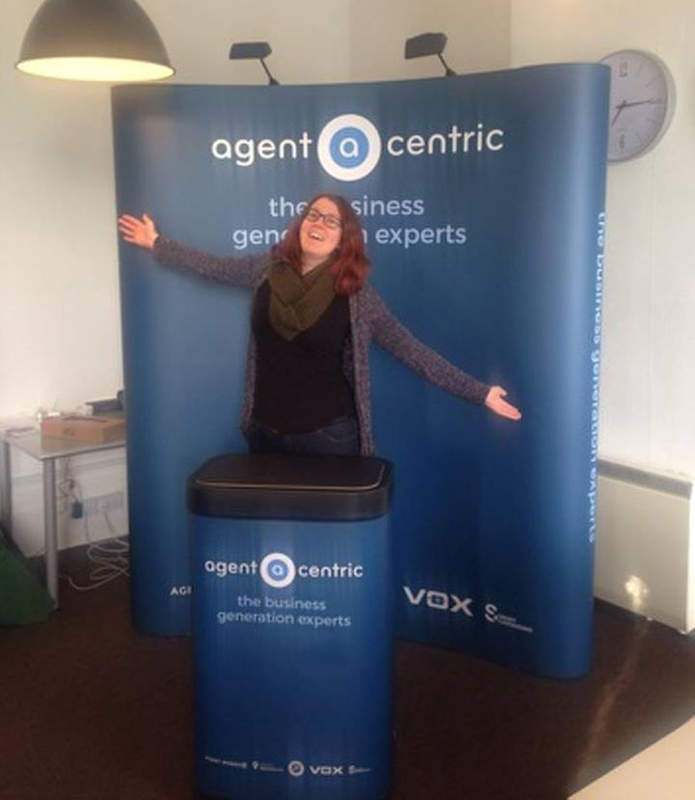 Agent Centric provide training and marketing solutions for estate and letting agents. From improving professional development to providing a revolutionary new way for agents to communicate with clients, Agent Centric deliver a variety of tools to enhance your business. You can visit their website at www.agentcentric.co.uk. 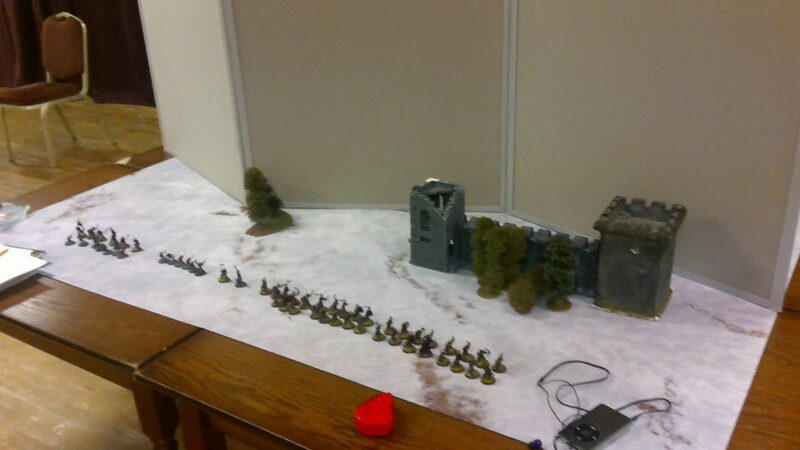 "As the treasurer for a local wargaming club, I needed the Event Folding Display Boards for perhaps a rather unusual reason - to act as a 'deployment screen' to conceal the deployment of armies when opting for a secret deployment system of deploying models onto a battlefield-gaming board for wargames such as Games Workshop's Warhammer 40,000. It makes the deployment process faster by allowing it to be done simultaneously rather than done in the usual fashion of taking it in turns, reacting to each other's deployments. It also makes deployment more exciting when the board is lifted to reveal the enemy's positions. This particular model of display board suited the purpose I've described above quite aptly for two reasons - it's length allowed it to stand very stably in a jaggedly-bent manner down the middle of a typical 6-foot long battlefield gaming board, and the height means that you can't see your opponent, so if he wishes to opt for a refused flank strategy with his army deployment, he can stand mostly towards one end of his battlefield edge in complete secrecy. I found the order process to be straightforward and intuitive. I found that the board suited the purpose I had intended it for very well, the most noticeable thing about it being just how light it was and easy to lift off our gaming boards once army deployment had been completed. The board fit the purpose brilliantly and being able to choose a colour for it was good in that by opting for grey it could thematically emulate the 'fog of war' as a literal grey fog concealing the opponent's army. The fact that the board was lightweight has been my favourite feature about it - as it makes it so easy to set up and put away as well as pass across to people in other games who want to use it. The addition of a bag is very handy, especially given that you ideally don't ever want to get the board wet and the bag seems to provide decent waterproofing. I would definitely recommend the Event Folding Display Boards to other wargaming clubs as it has been able to cut the time we spend deploying models from 30-40 minutes to around 5-10 minutes." William Young is the secretary-treasurer for the Boston Wargaming Club, which is based at the Conservative Club in Boston. They host wargaming sessions every Wednesday evening as well once a month throughout the day on a Sunday. Some of the most popular games that they play are X-Wing, Blood Bowl, Bolt Action and Kings of War. You can find out more about the club and the wargames they play at their website; www.bostonwargamers.co.uk/. 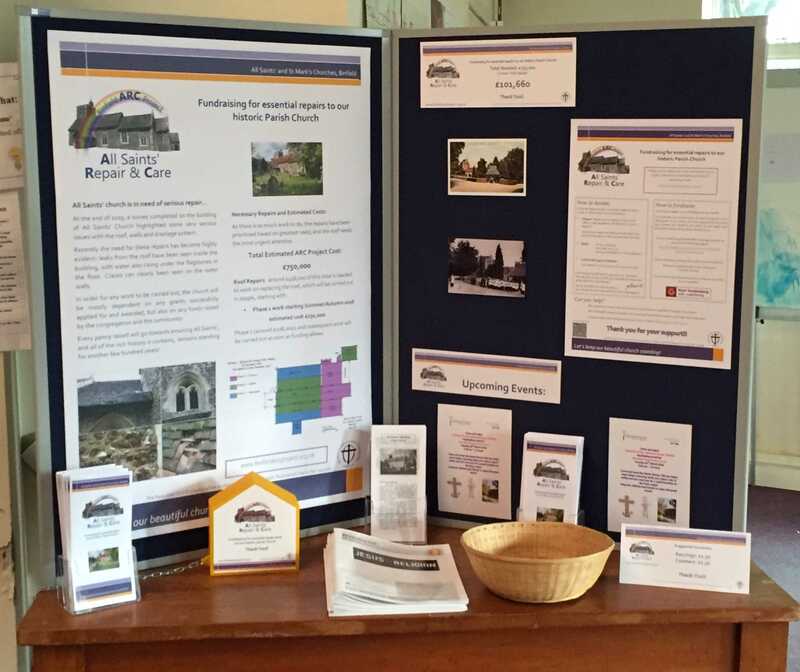 "We are currently in the middle of a fundraising project at our church, so we got in contact with Go Displays as we needed some boards to display information about what we are hoping to achieve. 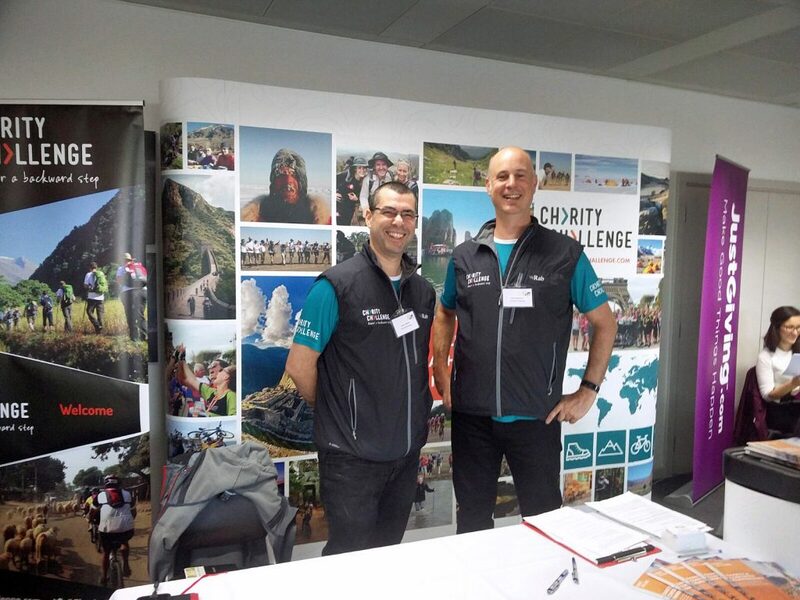 We were ideally looking towards table-top display boards which were able to display leaflets and other items as well as being lightweight enough so that we could take them along with us to events that we have been taking part in. I decided to choose the Event 2 Panel Table Top Display Board as they exactly matched our requirements and I thought the choice of colours were great. We were looking for a solution to display our leaflets and other items and these have proved to be a great fit. After receiving the Event 2 Panel Table Top Display Boards, I think they are of great quality, and exactly as they were advertised on the website. 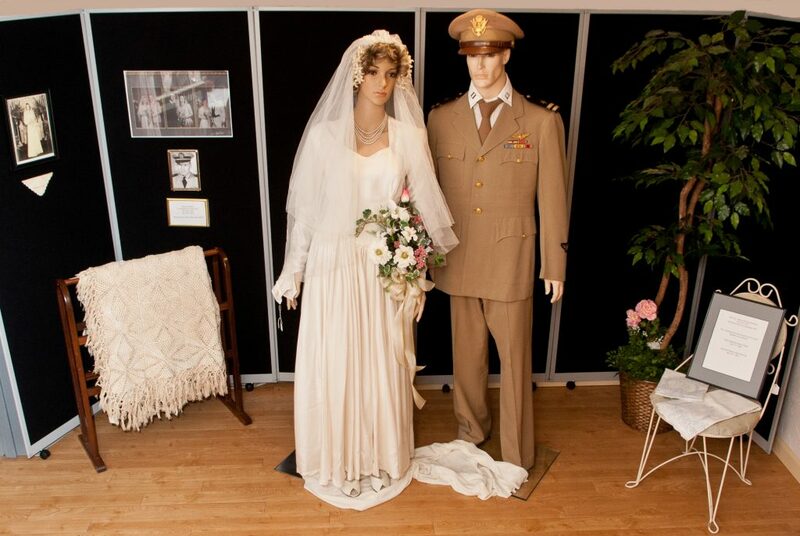 After we had set them up, they were exactly what we needed and they are currently working really well for our fundraising displays. I think the feature I liked most about the Table Top Display Boards was that they are well-made and the fact that they are lightweight makes them easily portable. It was an added bonus to receive the Velcro-stickers which we can use to apply the content that we have. I would definitely recommend the Event 2 Panel Table Top Display Boards to someone looking for a similar solution, because of the reasons above! They have turned out to be a quality solution for promoting our fundraising project." "We first started to look for some display boards as we began to plan a stall which we were putting up at a local event. I found out about Go Displays online, although shipping to the US was not available on their site at the time, I called Maddie and we were able to arrange things over the phone very quickly. I chose to go with the Event table top display boards as the fabric was Velcro friendly and it was also available in a green colour which matched the colour of our logo perfectly! As we are based in the US, I was impressed at how easy it was to have the display boards exported to us. After working with Go Displays, I was happy to see our display boards less than a week after placing the order. When they arrived, I was impressed by the quality of the display boards and they matched what I had read on their website. 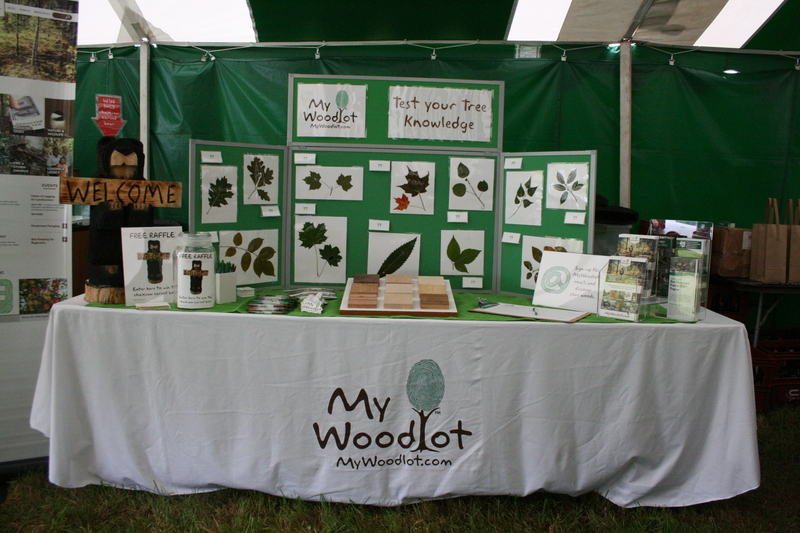 When we first started to look for display boards, we had an idea for a leaf ID display in mind, so the Velcro friendly fabric worked particularly well for this. We have different leaves for different events/regions, so we were on the lookout for a material which would allow us to switch them out easily. In addition to this, because the Event display boards are particularly lightweight and portable, having the fabric carry bag included makes them very convenient to transport when we are travelling to different events. Overall, I would definitely recommend Go Displays to somebody else. The quality of the display boards, fast shipping and variety of colours on offer are ideal and personally I like to work with family-run businesses. We are definitely going to be placing more orders with Go Displays in the future." Heather Hilson is the Forestry Program Outreach Specialist at the Watershed Agricultural Council, based in Walton, New York. They work with farm and forest landowners in the New York City Watershed region to protect water quality on behalf of nine million New York Residents.